In the two-and-a-half years since Royal Canoe's last release, the band have experienced their share of ups and downs. Shortly after the release of their second LP, the band's trailer was stolen while on tour in Quebec, resulting in the loss of every piece of gear they owned. Such a devastating hit put a cramp in the band's stride, though they pulled through and finished off their tour by launching a crowdfunding campaign and renting and borrowing the remaining gear. 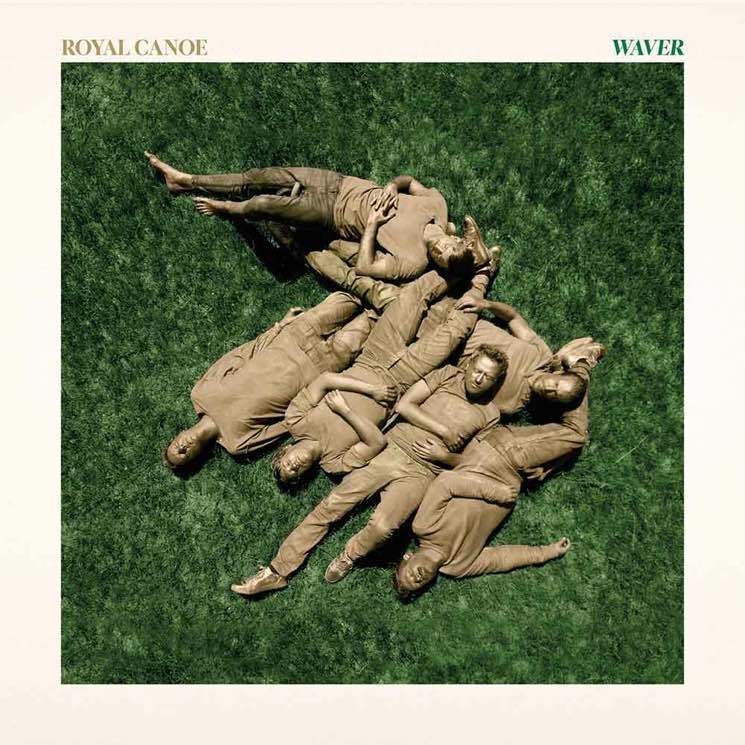 Jump to the summer of 2017; after reconciling their losses, Royal Canoe performed their sophomore album with the Winnipeg Symphony Orchestra, and work on their latest release, Waver, was just on the horizon. This latest effort is a much more sombre album than previous releases, lyrically exploring more personal undercurrents while leaving nostalgia at the door. With the tumultuous political climate much of the world has been embroiled in over the last several years, the band have pushed the focus of Waver toward contextualizing our fears of panic and anxiety, finding light when surrounding by overwhelming darkness, and visualizing the world both starting over again and fitting into a dystopian narrative. With this lyrical shift also comes a new musical tone to the tracks offered on Waver. Gone are the long-winding harmonious tails that layer and build on tracks from albums prior (save a bit of a reprise at the end of album closer "Don't"), as is the pervasive upbeat wash afforded to their other releases. Instead, the album has a tighter sound and a matureness to the tracks while still revelling in what defines Royal Canoe — the beautiful strings that roll across "May 17" while distorted vocals peek through; the rhythmic connection between guitar, organ, and percussion on "Don't"; the trilling synths and building strings, vocal clapback, and harmonies on single "RAYZ."